The last reprieve of the Norwegian gray wolf is almost literally at Earth's end. Located about 140 miles inside the arctic circle, Polar Park Arctic Wildlife Center is the most northerly wildlife center on the planet. The site's crown jewel? 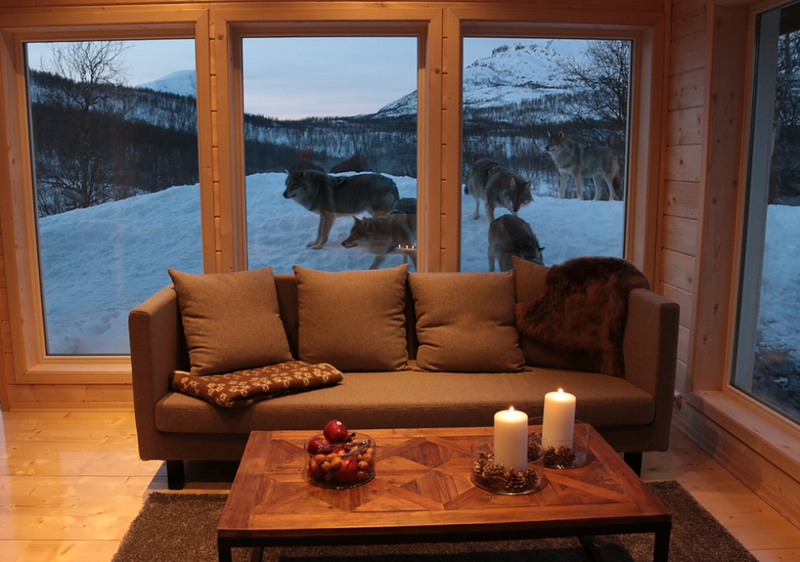 A resort called the Wolf Lodge, where seven of an estimated 30 gray wolves remaining in Norway still roam free. And you can travel there to meet them. Opened in January, Wolf Lodge offers visitors a chance to spend time with those wolves, who have become so accustomed to interacting with humans, they seem more like large, playful dogs than shadowy marauders. For their part, the wolves could certainly use the respite. Many Norwegians still view the wolves, despite their dramatically diminished numbers, as a threat — so much so that, according to CNN, around 11,000 hunters recently signed up to shoot just 16 of them in a government-approved cull. Farmers, CNN notes, are pushing to have all of them killed, despite the animals being responsible for fewer than 1,500 of the 100,000 sheep lost annually. Increasingly, Wolf Lodge is looking like the Scandinavian natives' last call. 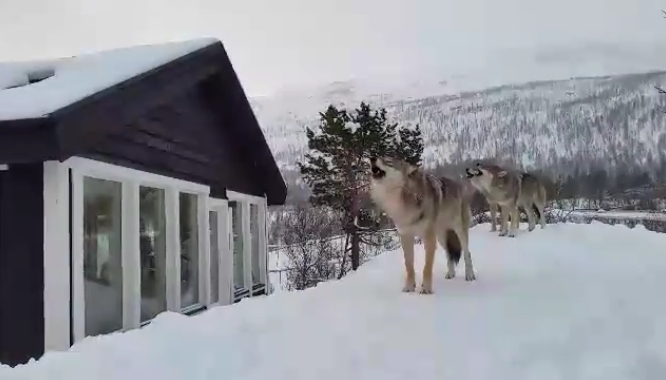 Responses to "The Wolves at the Door: Wolves Come To Visit Family With Howling Ceremony in Norway"
The most beautiful sound in the whole universe. And that lodge looks f**king awesome. I'd love to stay there. There are just 30 of them and they need a cull? Disgusting!